At times, you might find that a PDF file or a page in a PDF file has a wrong orientation. You might want to rotate the page to correct the orientation. Popular web browsers such as Edge, Google Chrome and Firefox allow you to rotate PDF files, but they cannot help you to save the new orientation. That is, you can rotate a PDF file for viewing only (changes won’t be saved), but you cannot save the PDF file’s new orientation as the old orientation is restored when you close the PDF file. The File Explorer in Windows 10 allows you to rotate photos quickly, but sadly the File Explorer doesn’t support rotating PDF files. You will have to use third-party utilities to rotate and save PDF files in Windows 10. In this guide, we will share the two free utilities out there to rotate and save PDF files. In addition to these tools, you can also use the free online services (mentioned in Method 3 of this guide) to rotate and save PDF files. 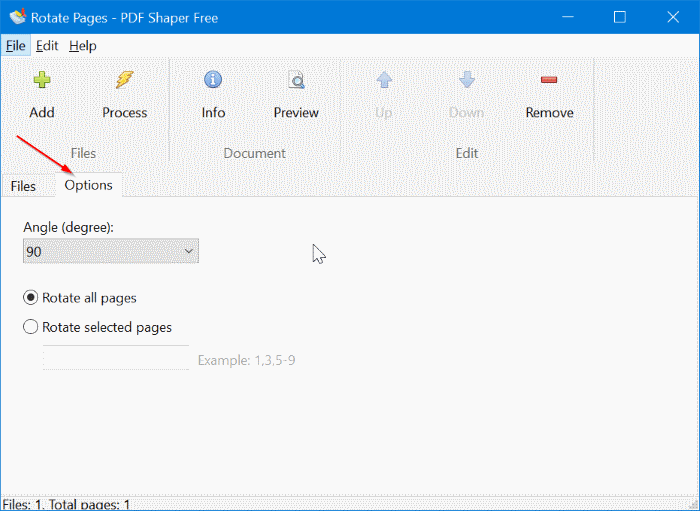 PDF Shaper Free is a free utility designed to manage PDF files in Windows. It can help you split PDF and merge PDF files, rotate, convert between different formats, and do much more. Step 1: Visit this page and download the PDF Shaper Free version. Run the setup file and install the same on your PC. 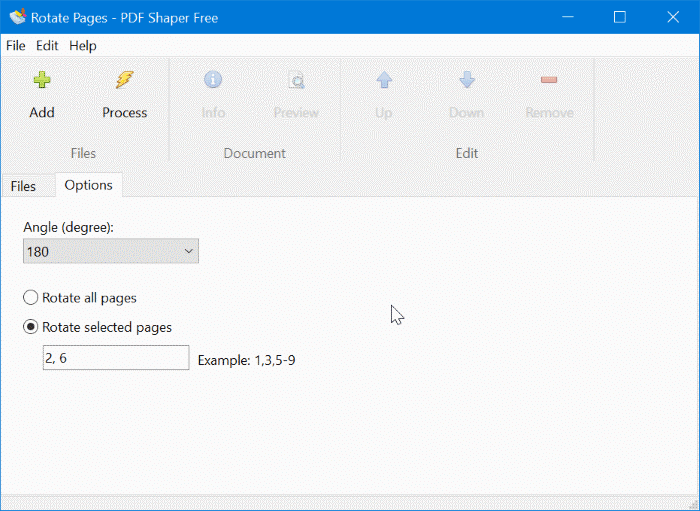 Note that the PDF Shaper setup file offers you to install additional software which you can avoid by clicking the Decline or Cancel button when you get the prompt. 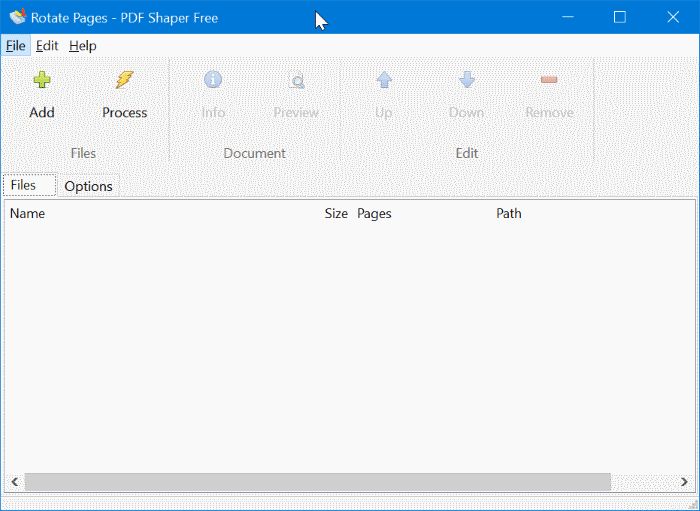 Step 2: After launching the PDF Shaper, run the same. Click on Rotate Pages icon to open Rotate Pages window. Step 3: Here, click on the Add button to select the PDF file in which the page that you want to rotate is present. 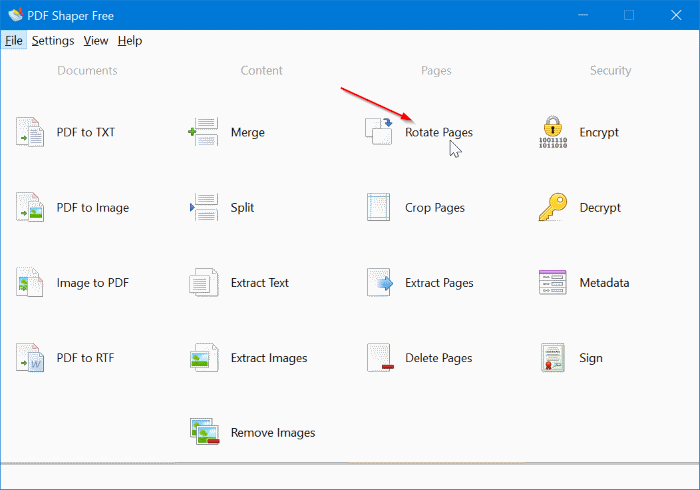 Note that you can either rotate a specific page or all pages in a PDF file. Step 4: Once a PDF file is selected, switch to the Options tab. Here, depending on your need, select either Rotate all pages or Rotate selected pages. If you select Rotate selected pages option, you will have to mention the page number in the box. Step 5: Finally, select rotation angle (90, 180 or 270 degree) and then click the Process icon. Type a name for the new PDF file and then click the Save button to save the PDF file containing rotated pages. Open the new PDF file in Edge or any other supported software to make sure that the PDF file is opening perfectly and check all the pages for correct orientation. You may now delete the old or original PDF file, if you want to do so. PDFMate Free PDF Merger is another free utility out there to manage PDF files. With this software, you can permanently rotate a PDF file and save the orientation. Here is how to use it. Step 1: Download, install and launch Free PDF Merger. Step 2: Add the PDF file, select the orientation as Vertical or Horizontal and then click on the large Build button. Quite a few free online services out there to help you rotate one or more pages in a PDF file. Online services require you to upload your PDF files to their servers and therefore is not recommended to upload PDF files containing sensitive and crucial information. If you would like to try out online services to rotate PDF files, check out Rotate PDF Online from the well-known Soda PDF and RotatePDF.net services. Our 6 ways to compress PDF files guide might also interest you.